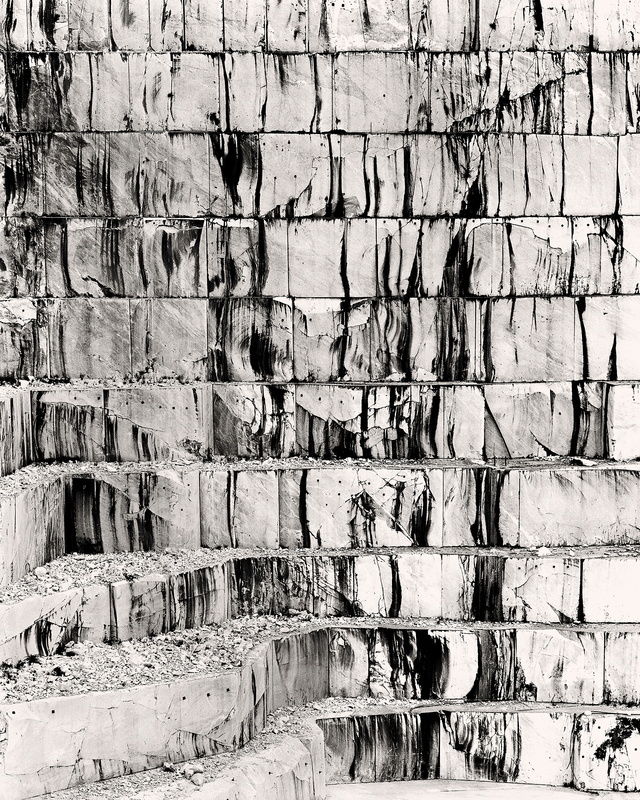 Today we bring together two artists whose work is inspired by the marble quarries at Carrara and Pietrasanta in Tuscany, Italy, where large-scale extraction is changing the face of the mountains. 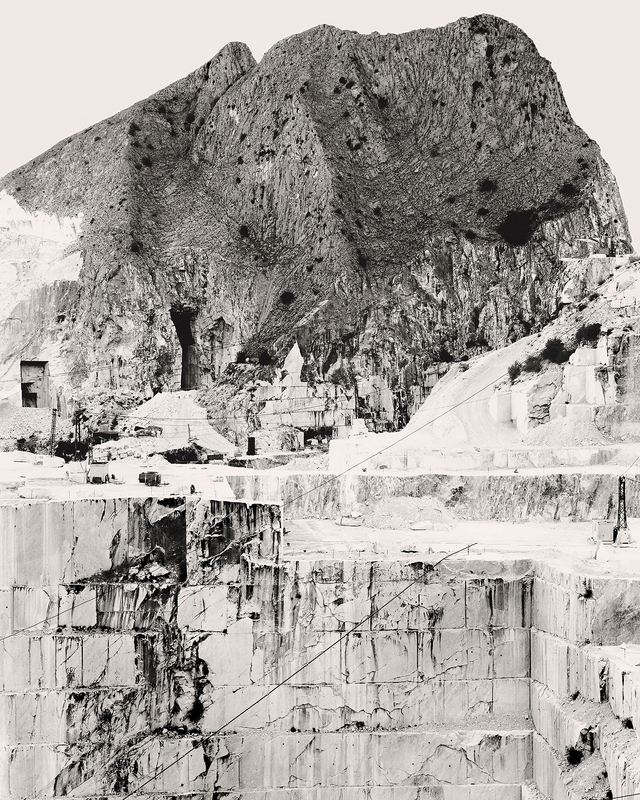 Conohar Scott's photographs document this vanishing, while Alice Cunningham's sculptures contrast the natural texture of the rock, and the mountain skyline, with the carved surface. We have paired some of Conohar and Alice's images, with the full-scale versions reproduced below. Alice Cunningham is a sculptor who has exhibited widely throughout the UK and internationally. Dr Conohar Scott is a lecturer in photographic theory and a practicing artist at the University of Lincoln, and founder of the collective Environmental Resistance. Till as they are, at last I, too, am shattered. Vetta e Abisso, which in English translates as Summit & Abyss, is a project documenting the famous white marble quarries of Carrara, Tuscany. The title of the project is a reference to a line from Goethe’s Faust which remains the pre-eminent drama on the tragedy of industrial development. In the play, Faust proclaims that the transformative potential of industrialisation is accompanied by a profound sense of alienation. This alienation represents an estrangement from the environment, which ultimately leads to a disavowal of the self. 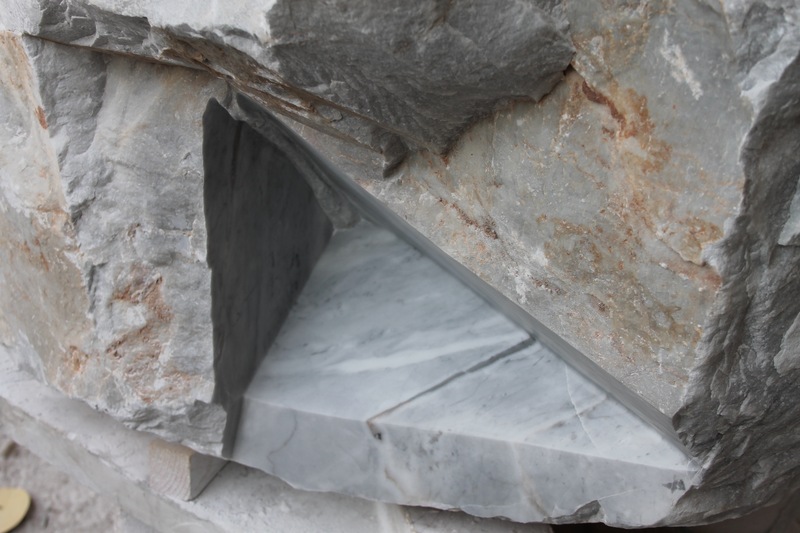 The photographs are displayed in a linear series which begins at the summit of the Apuan Alps, before descending into the marble quarries, and culminating finally in the pulverisation of the rock as fragment and dust. 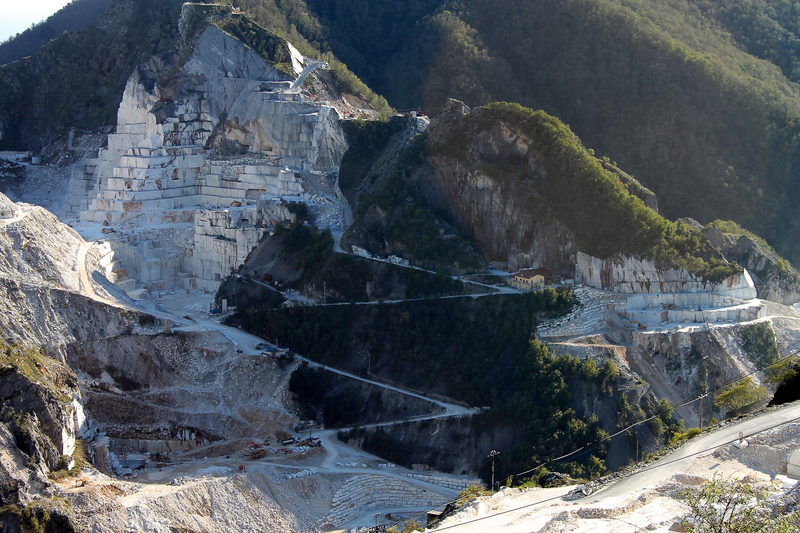 Over one hundred marble quarries operate in the Carrara locality. It is commonplace for illegal mining to take place in areas designated as National Park land due to the profitability of the stone. Marble of a lesser quality is also pulverised and sold as a textural agent in a variety of beauty products, such as toothpaste and face creams. Over-mining in the region is altering the micro-climate as whole mountains quite literally disappear, and for this reason miners are increasingly drilling into the Alps in a bid to hollow them out from the inside. 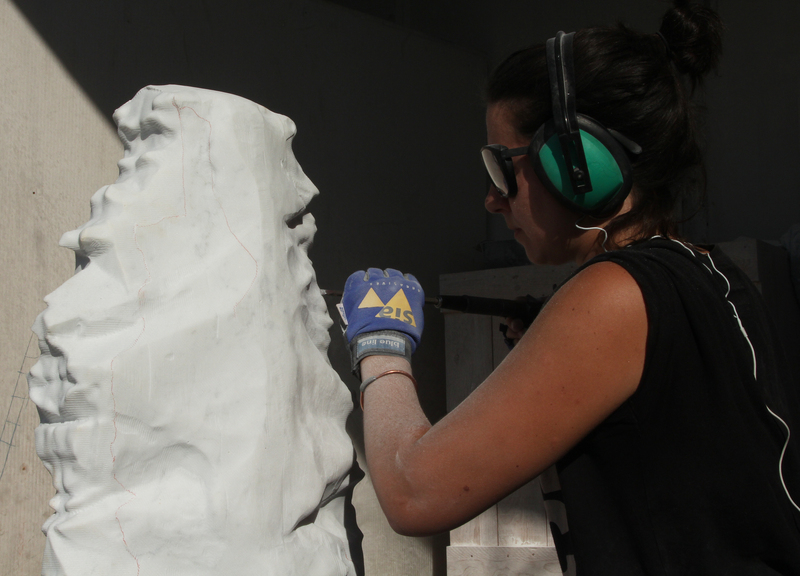 In 2015 I was selected by the Royal Society of Sculptors to complete a residency at the prestigious Studio Sem marble-carving workshop in Pietrasanta, Italy. Michelangelo opened the quarry here. Legend has it he and his team hand-dug the road from the mountain to the town. I spent my time there being in awe of the mountains, quarries and stone itself. The quarries and the brutal but somehow beautiful methods of extracting the marble especially moved me. 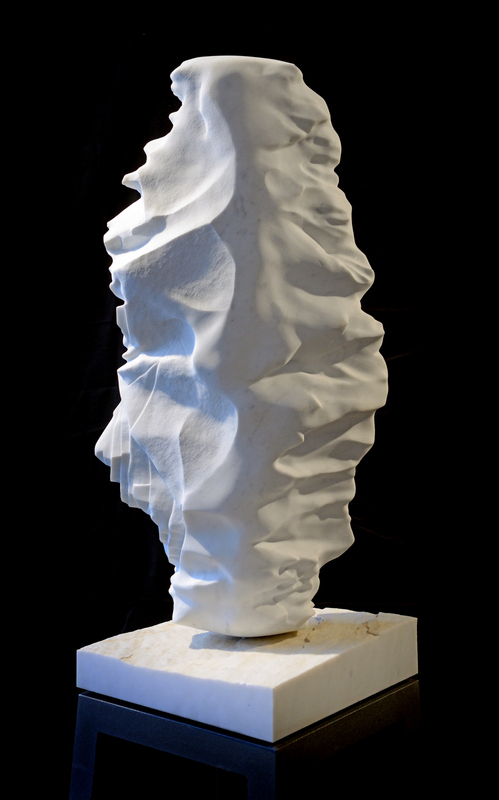 The contrast between the cut and natural surface of the marble and the shapes therein formed the inspiration and starting point of this new series of sculptures. 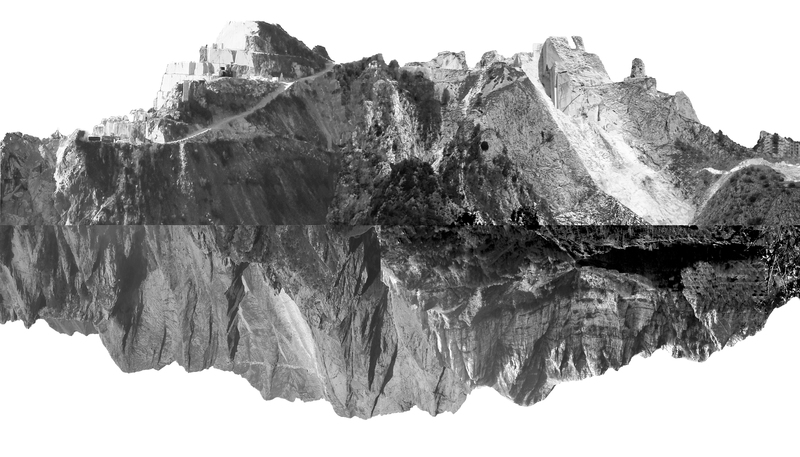 In my piece ‘Perspective’ I traced the lines of a quarry and mountain skyline, then turned this into a 3D model and fed the image to a robotic mitre arm, which shaped the outline in stone. Back in the studio I continued to carve, shape and finish. The contrast of the natural contours colliding with the cut quarried line creates a charged form. The collaboration with a robot to make the sculpture heightens this even more. I wanted to really meet the material and explore how I could start a conversation with the stone. I also wanted to open the debate up to others who saw the work, to talk about environmentalism and our connection with the things around us in a wider sense. 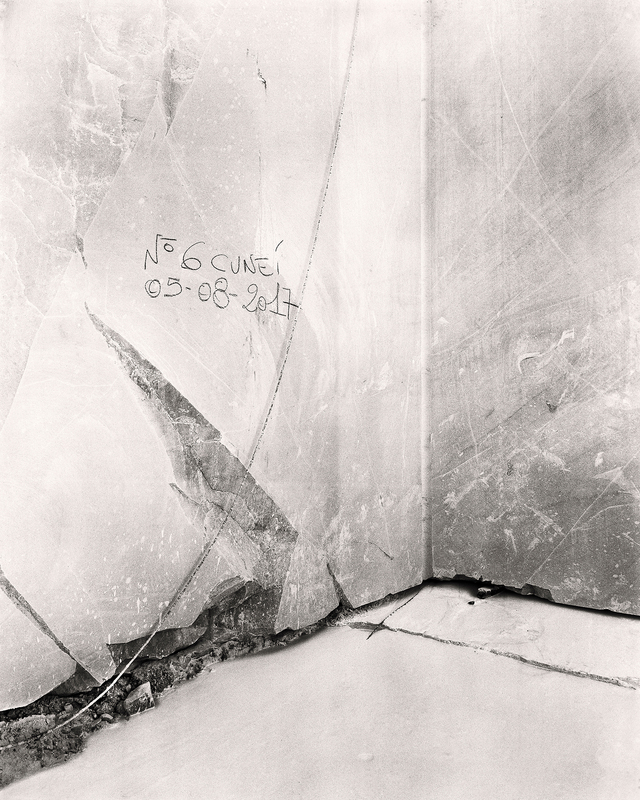 Dr Conohar Scott is a lecturer in photographic theory and a practicing artist at the University of Lincoln. 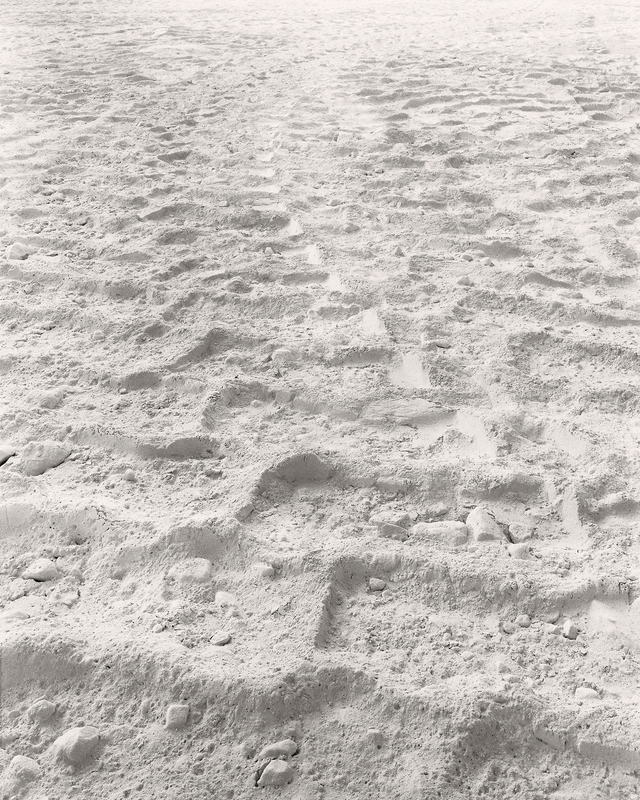 As part of his artistic practise, he founded the collective Environmental Resistance (environmentalresistance.org), which seeks to raise awareness of industrial pollution and campaign for environmental remediation. 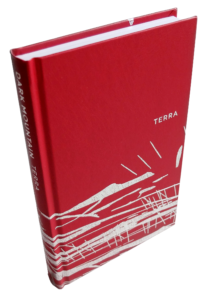 He is currently writing a monograph for Bloomsbury entitled ‘Photography and Environmental Activism’, which should be available by 2021.